It’s been a hot and thirsty few days in the garden. A plant which takes these conditions in its stride is Berkheya purpurea, a member of the Aster family from South Africa. With its jagged, thistle-like leaves and abundant lilac flowers it’s a superb plant for a dry, sunny spot. 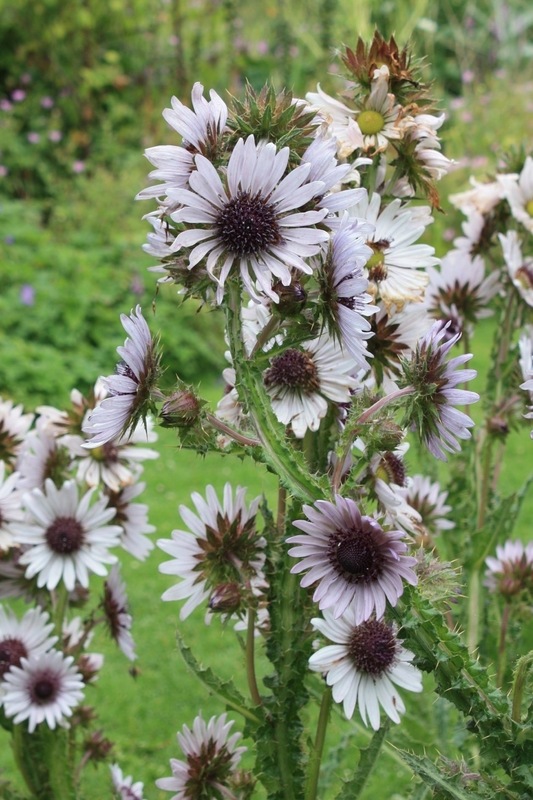 Berkheya can easily be grown from seed and makes a great cut or dried flower. Once established it’s long lived enough to endure the waiting game that is the Great British Summer. Pictured here at The Salutation, Sandwich, Kent. Interesting plant, looks like from a dry flowers bouquet. The stems remaind me of an house-plant Euphorbia.